As the latter half of series seven has proved, the Frock Coat is still very much part of The Doctor’s wardrobe. You'll have no doubt seen that I made myself my own replica using THE incredibly expensive cashmere from W Bills. I wanted to do the best job I could, especially using such a special cloth. 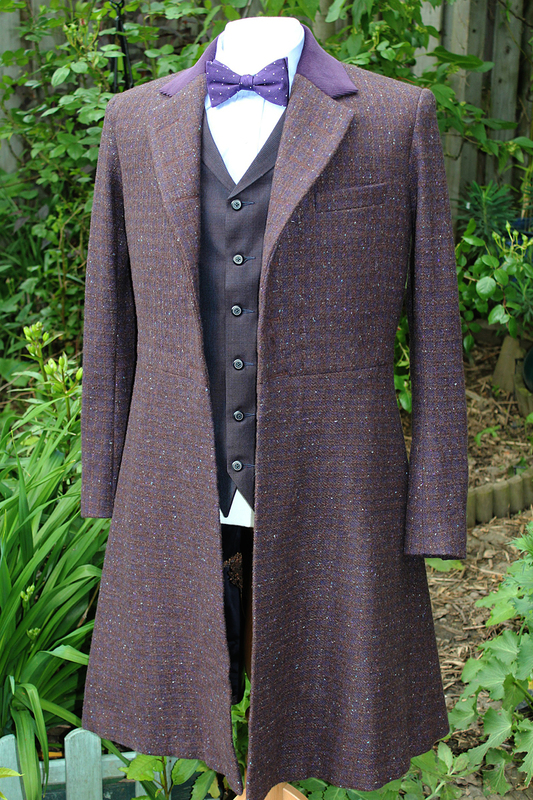 The pattern I have for a basic Frock Coat is an adaption based on the Laughing Moon design, which frankly wasn't up to scratch for making the coat I wanted. 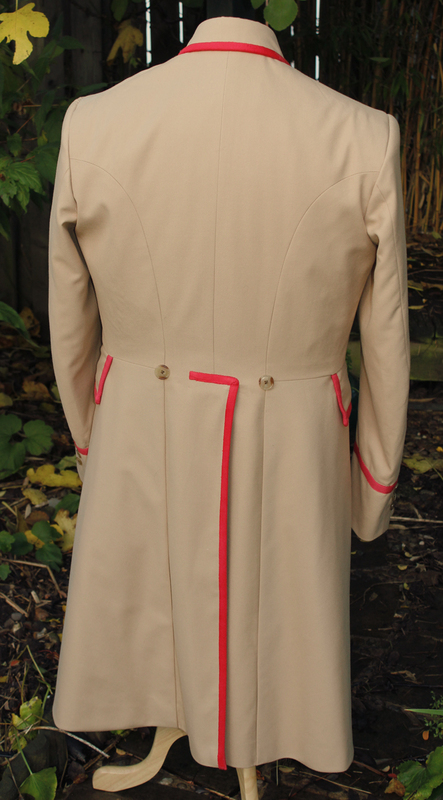 I therefore went back to basics with a clean sheet and drafted my own pattern using a vintage book dating from the Edwardian period when these coats were at their most popular. I was very pleased with the result and found it to be a lovely fit and draped well. 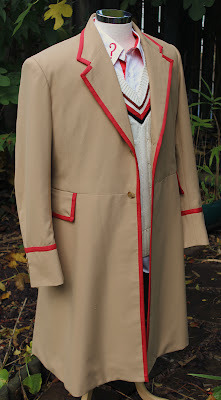 So when I came to make my next commission for a Fifth Doctor Frock Coat I quickly realised it was time to retire my old pattern and adopt my latest incarnation of this design classic. The basic cut is essentially the same - I have to change very little when it comes the the bulk of the body to the coat. All I need to do is add the waistline pockets (the Matt Smith variant has no such pockets, opting for a lone breast pocket instead) and the change the cut of the lapels and collar. The gorge of the collar and lapels is a lot lower; the lapels themselves are much wider, being something of a hang over from the 1970s; and the collar has a bit more shape to it as it comes towards the corners. The sleeves are from my basic sleeve block which I use on a lot of garments. You find that once you have a good sleeve block you stick with it unless the design is radically different, demanding a bespoke pattern. 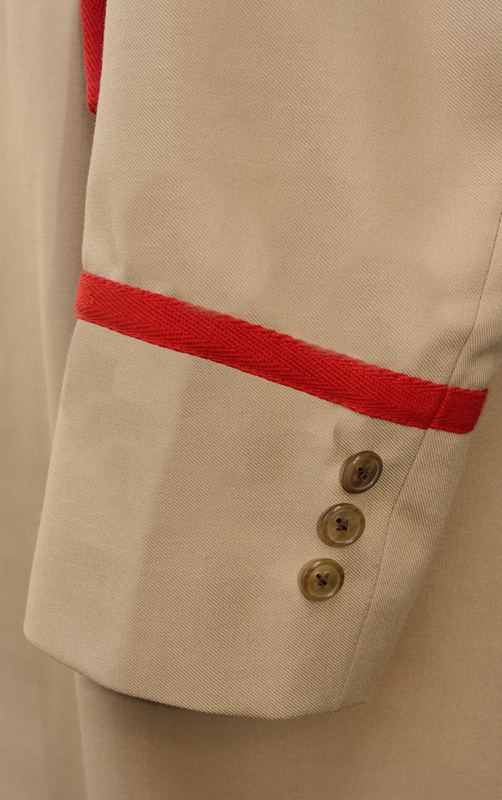 The sleeve doesn't need the button-vented cuff of the Matt Smith version, and since I'm familiar with how the length works, it's easy for me to get the piping band at just the right level from the get go. The back and side panels are a straight lift from my pattern, and the skirt remains largely unchanged, but is cut a fraction longer to just above the knee. My pattern always allowed for this anyway. Doing an exercise like this makes you understand and appreciate how a simple change to the style-lines on a garment can make all the difference, and how underneath a lot of apparently different costumes share the same DNA. It's always nice to see updates on the more familiar items. 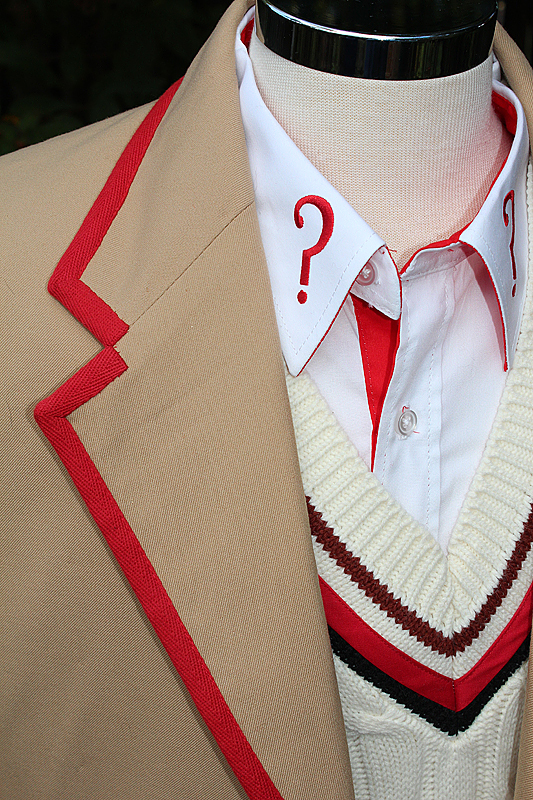 Especially anything from the 5th Doctor. 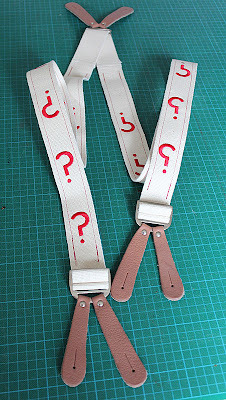 The Doctor’s braces - back in stock!